Brian Cunningham has over 20 years of experience as a Chief Executive in both the private and public sectors, and is widely recognised for leading and developing successful organisations through significant change across a variety of sectors including sport, education, training and economic development. From his debut with the SANFL Port Adelaide Magpies under age football teams in the late 1960s, ‘Bucky’ has played an integral role with the Port Adelaide Football Club over a period spanning 35 years. During his playing career he kicked 428 goals from a total of 256 league games for Port after debuting in 1971. He was renowned for being Impeccably fair, highly skilled and one of the most naturally two-sided players of his era. He kicked four goals and was Port’s best player in the drought-breaking 1977 Grand Final win against Glenelg, and captained the Magpies to three consecutive premierships between 1979 and 1981. He also represented South Australia six times before retiring from the game after the 1983 season. With sports at the heart of Brian’s ethos, he is best known for his key leadership role in the successful tender for Port Adelaide’s Australian Football League Club franchise licence in 1994, leading the transition from a state based sporting club a highly successful national football league entity in the period 1996 through to 2004 – crowning his career with Port Adelaide Power’s first premiership in his last year at the helm. 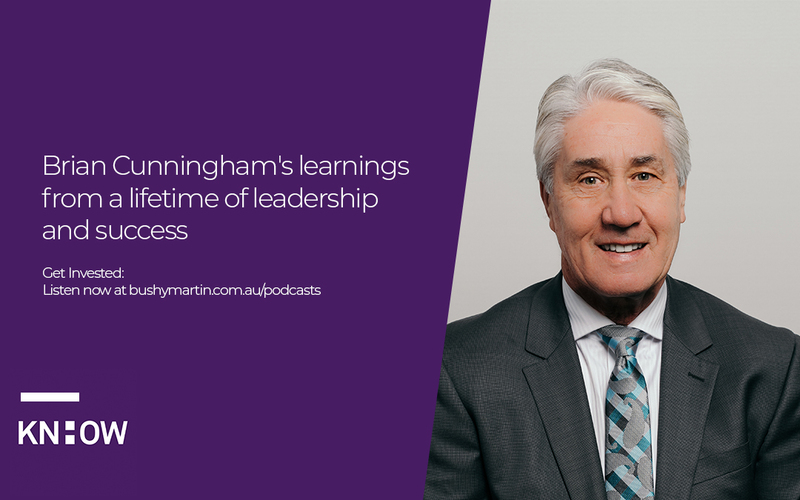 In the corporate arena, Brian led strategic reviews and change management programs in the structural reform of two large South Australian government departments. Firstly As CEO of TAFE for four years in the mid 2000s, he led the state skills training system (of over 80,000 students) producing government funded student outcomes in 2008, ranking first in Australia in all key categories of employment success of graduates, student satisfaction and student transition to higher qualifications. He then spent three years overseeing state efforts in key economic development activities to generate increased trade, investment and jobs as Chief Executive of the Department of Trade and Economic Development. Brian then moved out of the public sector in mid-2010 and has taken up private sector Board Director roles. He has also formed his own consultancy company. He is a Fellow of the Australian Institute of Company Directors and holds a Bachelor of Science and a Diploma in Education. He has performed the role as Chairman of various national and state government committees in the spheres of training, education and also economic development. He currently sits as a Director on six diverse Boards and acts as Chairman of five of these. Not surprisingly, Brian is an accredited professional in Emotional Intelligence or EQ and Leadership. How is that for an impressive lifetime of leadership CV!